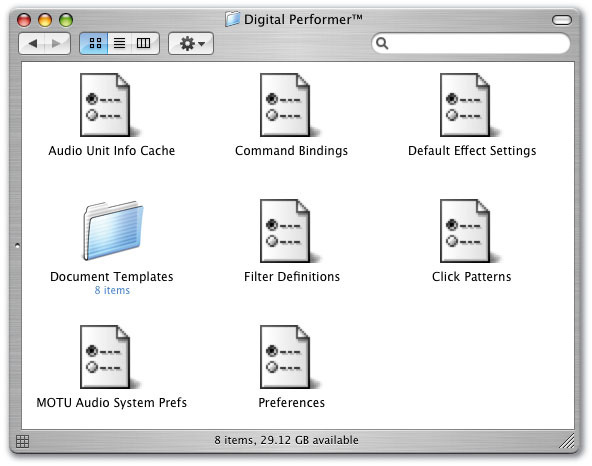 DP running on a Power PC-based Mac still provides the most extensive support for third party applications and plug-ins. For example, neither the PSP plug-in nor MOTU's own MX4 synth, shown here, are yet available in Intel-compatible versions. There's some uncertainty over the extensive range of Waves plug-ins too, although many developers, such as Ohmforce, have already made available Universal Binary plug-ins that are equally compatible with both the Power PC and Intel platforms. Apple's adoption of Intel processors for the Mac has already had an impact on music production: at last we've got laptops that can cut it for ambitious projects. And the new desktop Macs that were announced at August's World Wide Developers Conference seem to usher in a new era of yet more powerful machines that look perfect for project studio use. MOTU were clearly never going to be left behind in all this, and announced the Universal Binary DP 5.1 at the beginning of August. 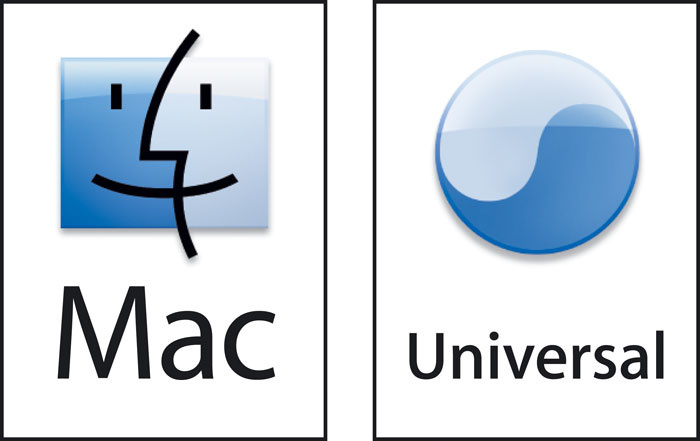 For Intel-Mac rookies, a Universal Binary is an application (or plug-in, widget, or any other piece of code) that has the necessary components to run natively on Macs with both Power PC and Intel chips (see Apple Notes columns in recent months for more details). 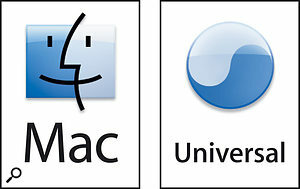 Universal Binary is how the vast majority of new software is being released, as it provides compatibility with Intel Macs and backwards compatibility with Power PC Macs, yet to the user just appears as one single version. In the case of the DP 5.1 Universal Binary, the compatibility is with G4, G5 and Intel systems, and you install it in exactly the same way no matter which processor your computer has. Version 5.1 is, incidentally, available as a free download for registered owners of DP5, from www.motu.com. Good news then, and for G4 and G5 owners very little has changed (aside from the one enhancement described in the 'What's New?' box). For those with Intel Macs (or those, like me, looking to buy one soon) the situation is still a little complicated, though. The problem is that all those extras we take for granted — third-party MAS and Audio Unit plug-ins, Rewire applications, system audio utilities and some supporting files — also need to be Universal Binaries in order to work with DP 5.1 on Intel Macs. This inevitably leads to a 'chicken and egg' situation, with third-party developers waiting until Universal Binary applications such as DP 5.1 are released before pouring lots of effort into releasing products to support them. To cut a long story short, it's going to be 2007 before you'll be able to have an Intel Mac DP system that can access as many plug-ins as a Power PC system can now. And even when this does happen, some things are going to be a little different. Below I've put together a guide to what DP-related Universal Binary plug-ins and other gadgets are already available, what's on the horizon, and what might never appear. If you're using DP 5.1 with any audio interfaces other than the Mac's built-In audio, you're going to need Intel-compatible drivers for them. Most widely-used Firewire and USB interfaces already have Intel-specific or Universal drivers. This includes MOTU's Firewire interfaces, the RME Fireface, Tascam's FW1884 and others. The situation is much less clear with PCI-based interfaces, though — even MOTU's. That's because until August there were no Intel Macs that had PCI slots. The drivers are doubtless coming and will probably be released sooner rather than later, but, as ever, there are no guarantees. Most MIDI interfaces are class-compliant with OS X and don't need any drivers. Of those that do, by Edirol and M-Audio, for example, many already have Intel-compatible drivers. DP uses the third-party LAME Framework to provide MP3-format audio export — it was never supplied as part of a standard DP installation, and the Power PC version was (and still is) available from www.pyehouse.com/lynn/lamework.php. A Universal Binary version is needed for DP 5.1 running on Intel, though. Fortunately, a couple of alternative options are already out there (www.ktunes.net/wiki/index.php/Lame; http://homepage.mac.com/integralstudio/lame_framework.html). Also widely used is Cycling 74's Soundflower, which provides virtual audio inputs and outputs for audio applications, to allow one to stream audio to another. This has very recently become available as a Universal Binary, from www.cycling74.com/downloads/soundflower. The more complex Jack OS X is also available as a UB from www.jackosx.com. Both Propellerhead Reason 3 (www.propellerhead.se) and Ableton Live 5 (www.ableton.com) have been Intel-compatible for a while, so using these Rewired to DP 5.1 should be straightforward. The most recent versions of Melodyne, Melodyne cre8 and other packages by Celemony are also compatible (www.celemony.com). The picture is also good for plug-in hosts such as Rax (http://plasq.com/rax) and Plogue Bidule (www.plogue.com). Both are working fine on Intel. Finally, Cycling 74's Max/MSP/Jitter environment, which can be Rewired to DP, is available as a Universal Binary Public Beta . As well as Intel compatibility, DP 5.1 provides one new enhancement: extensive MIDI control over the parameters of all its bundled instruments. This is achieved using NRPN (Non-Registered Parameter Number) messages, which you'd send from a MIDI keyboard or other controller capable of generating them. Incidentally, Modulo retains its ability to learn MIDI controllers and other messages (after you've right-clicked on one of its parameters and chosen 'Learn Controller Mapping' from the pop-up menu). All the relevant NRPN numbers and the parameters that respond to them can be found in the back of the DP 5.1 addendum.pdf installed at the same time as the update. This is where the fun starts. After DP 5.1 was released, I contacted many of the major developers of MAS-format plug-ins, and ' DP-friendly' Audio Units to find out what their timescale was for releasing Universal Binaries. In some cases I received no reply at all — quite worrying — and in others very helpful information containing a lot of good news! Here are my findings, some from personal contact and others from good old-fashioned Googling. First of all, there's virtually no information forthcoming about TC's Powercore or Universal Audio's UAD1 'powered' plug-in systems. That's partly understandable, since both are available as PCI cards (exclusively, in the case of the UAD1). However, Focusrite's Firewire-based Liquid Mix promises Intel Mac support, which should be available by the end of the summer. For native plug-ins, the situation is complicated. To try to clarify it, I'll round up what's happening for a range of important DP-friendly software developers, starting with MOTU themselves. Ethno and Symphonic Instrument are already available as Intel-ready downloads free to registered owners. There's no information at present about MX4 and Mach Five — except that it's most likely now that it'll be Mach Five MkII rather than Mach Five that will be available as a UB. Just to be clear, you can't run DP 5.1 natively on an Intel Mac and run Mach Five or MX4 using Rosetta, the Power PC emulator built into the Intel versions of Mac OS 10.4. Universal Binaries of Analog Factory, Prophet V and Brass are already available, with Minimoog V, Moog Modular V, CS80V and 2600V promised for the end of the summer. Version 5.4.6 of Altiverb works with DP 5.1, but not on an Intel Mac — it only fixes some problems that users on the Power PC platform were experiencing. Apparently, true Intel compatibility will be delivered with the release of Altiverb 6 "later this year". Better news is that the Nautilus and Rocket Science bundles are very close to being released as UBs that will also fix the instabilities in DP 5.1 experienced on G4s and G5s. The next VST Wrapper is a way off, though — changes in the fundamental structure of VST plug-ins for the Intel platform mean that this isn't a simple re-compiling job, and the situation is made worse by the fact that at present so few Universal Binary VST plug-ins are available for Audioease to test with. What's clear is that a new VST Wrapper will not (and will never) be able to wrap 'old' non-UB VSTs. However, for Power PC Mac owners the latest release, version 4.2, at least restores crash-free operation under DP 5.1. Since Max/MSP is already in a beta Universal Binary version, the plug-in collections Pluggo and Hipno will not be too far behind, but no date has been confirmed. The BFD and Guru drum instruments are already available as Universal Binary Audio Unit plug-ins, and a compatible VST to AU Adapter is apparently done and just waiting for a new Fxpansion website to be completed before it's released. This should offer a VST-hosting solution to those users who previously relied on Audioease's VST Wrapper. Amazingly, iZotope had MAS (and AU) Universal Binaries available for their Ozone 3, Spectron, Trash and Vinyl plug-ins at the time of DP 5.1's release! The newly acquired Phatmatik Pro comes as an Intel-compatible VST or AU, with proper MAS support promised soon, and iDrum is usable as an AU. Top marks for iZotope! The Audio Unit version of Channelstrip is already a Universal Binary, and Metric Halo say that now DP 5.1 is out the MAS version will also be released quickly. NI have set out a pattern of releases of Intel-compatible software, starting with heavyweights such as Reaktor and Kontakt, supposedly to be released by the end of the summer, and filtering down to the likes of Vokator by the end of the year. At present, only Kore is already compatible. Since NI's Kontakt Player application is used by various sample libraries, including the big East West and Garritan orchestral sets, these won't be compatible with DP 5.1 running on Intel until after Kontakt Player itself is. Everything by the excellent Ohmforce is already available in Universal Binary 'Release Candidate' versions in the Audio Unit format. The word here is that Intel support is in the pipeline, but isn't happening for a while. A shame. A beta version of Stylus RMX is available for download, but Atmosphere and Trilogy, being built on a different sample-playback engine, are apparently some way off. 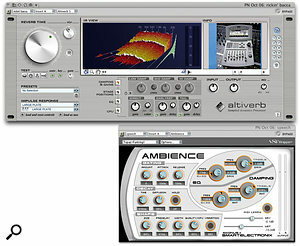 Wave Arts are amongst the most responsive of all MAS-format plug-in developers. They were the first to offer OS X-compatible MAS plug-ins, for example. As I write, Universal Binaries of all their products are available in AU format, and MAS UBs will be available very soon. Wave Arts remain one of the most enthusiastic and friendly supporters of the MAS platform. 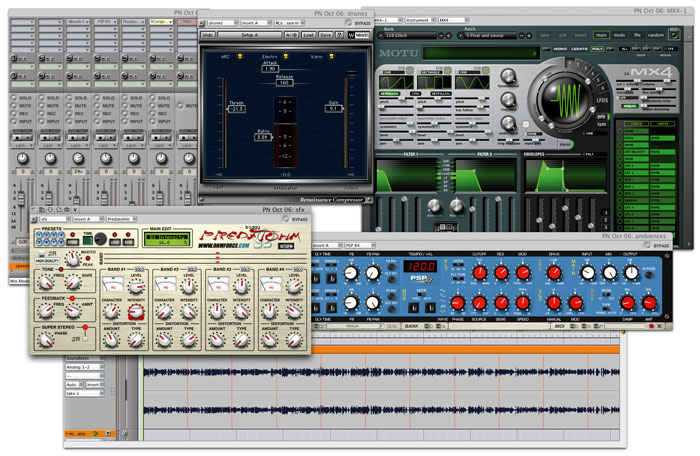 There is some uncertainty with Waves' vast range of plug-ins. Universal Binaries in Audio Unit format are available, but are not confirmed to be compatible with DP. However, it seems they do work, and this is a bit of a turn-up for the books — previously, DP blacklisted Waves Audio Units so that users were forced to use the MAS versions. This could, then, signal the end of native MAS support by Waves, or it could mean nothing. Watch this space. Incidentally, Power PC Mac users will need the latest MAS Waveshell versions (currently 5.0.1/5.2) to ensure stability in DP 5.1. Amongst other companies I contacted who are promising Universal Binary development but have not published a time-frame are Applied Acoustics and G-Media. It would be business suicide for any developer to wait too long, though, since consumers can no longer buy a Power PC-based Mac! Stay tuned to SOS for more Intel-related DP news as it happens. If you're still having trouble you might want to repair OS X's file permissions, using the Disk Utility application, or a shareware 'housekeeping' utility such as Cocktail (www.macosxcocktail.com), before running the DP 5.1 installer once more. 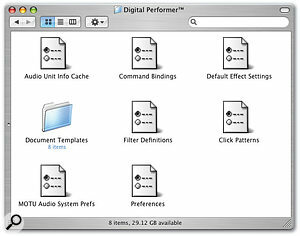 Some users have also found it necessary to force DP to perform its Audio Unit examination process once more. This is done by trashing an additional preference file (below) before again rebooting the application and waiting patiently. Finally, it's worth being aware that if you have older Audioease plug-ins on your system they will cause problems in both DP 5.0 and 5.1. 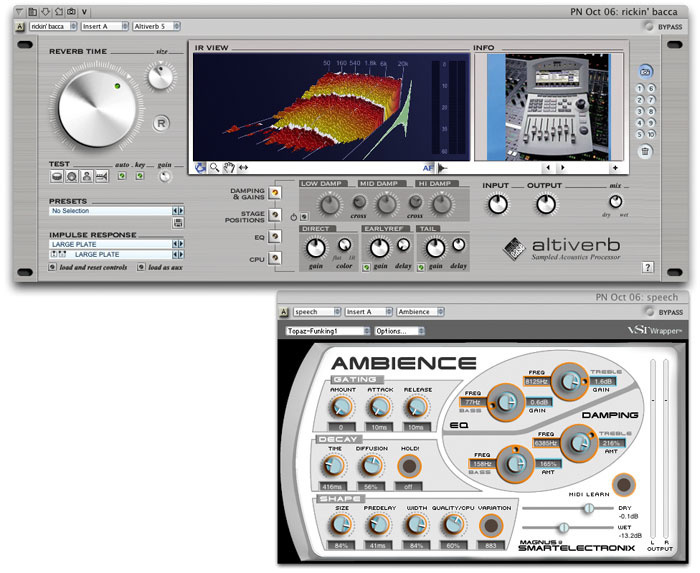 You will need to upgrade to Altiverb 5.4.6 or later, VST Wrapper 4.2 or later, and any new release of Rocket Science or Nautilus whenever they become available.